If you are not familiar with the idea of a Trunk Show, have we got a deal for you! Throughout the fashion industry, the “trunk show” has become synonymous with big savings. This is when a fashion designer visits one of her/his distributor locations, and literally opens up a trunk full of their best products in an effort to reduce inventory before the new season line-up is introduced. 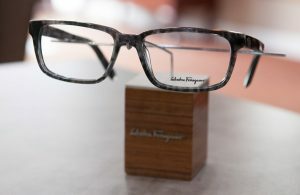 Here at Holloway Eye Care, we know that many of our clients are discerning buyers, looking for great fashion deals on eyewear that they might otherwise only get in Philadelphia, Washington, D.C. or New York. This is just our way of looking out for our local customers, and helping a good cause at the same time. A portion of all proceeds from previous trunk shows have been donated to the Union Hospital Breast Cancer Center, Pathfinders for Autism, and Harford Family House. NOTE: These Trunk Shows are so big, we regularly get customers from Baltimore, Wilmington, Dover and Southeastern PA. Be sure to arrive as early as possible for the best selection. Come to our next trunk show! It will be held at our Elkton location this fall, with some great offers and hot designers. Thanks to all who attended our spring Trunk Show to benefit the Havre de Grace 4H Club’s Yum Yum with Friends effort to help send kids to summer camp who could not otherwise afford to go!